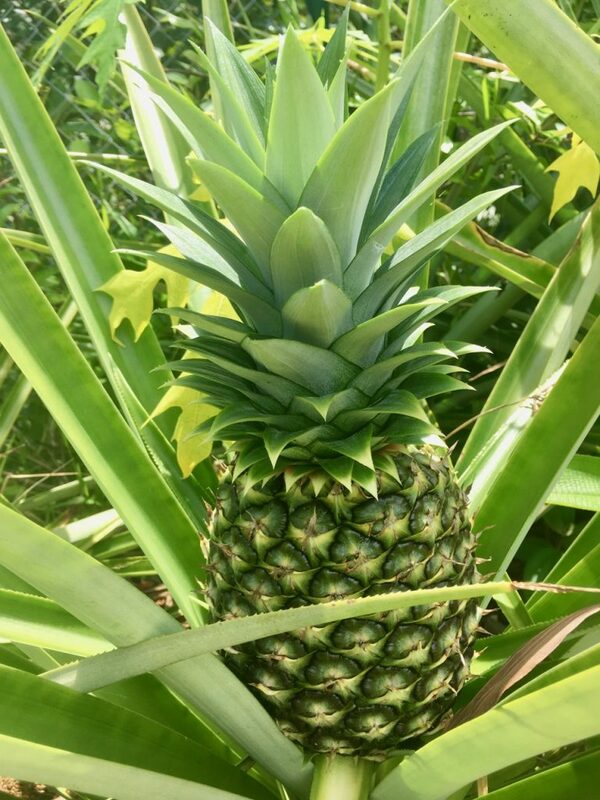 Pineapple in progress here at PurUvita. 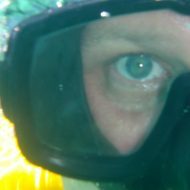 As I hunker down to let my ankle heal and attempt to spit out The Book, there hasn’t been a lot to report. So updates are becoming less frequent. I have about 20,000 words written and spent about 6-8 hours both today and yesterday writing away. More accurately, perhaps, I’ve been rewriting, editing and researching. Themes are becoming clearer and characters are growing more well-rounded. The Scrivener software I mentioned the other day has proven invaluable. I still have a long way to go, but I’m up above the trees now, getting a sense of the forest. The ankle continues its slow progress. It’s a struggle to stay off it instead of testing it, but I’m sticking to the former. I sat in the bar area last night and watched a drenching rain, punctuated with considerable trueno and relámpago. After waiting about 90 minutes for a break so I could walk to the Treehouse, I gave up and got drenched. The rain continued until well after I went to sleep, though today we were rewarded with a cool, breezy respite filled with sunshine. Tomorrow I’ll give Yair the taxi driver a shout and get a ride into town for food and prescription refills. It’s hard to believe that I’ll be heading to the States a week from Monday for a business meeting, returning here the following Saturday. From there, it’s just a few more weeks until Lara visits and then we return home together. I’m now in my sixth week in Costa Rica, and even with the mangled ankle, I have no regrets. This has been a phenomenal experience, and I can’t honestly recall I time I was more productive. I launched into another book yesterday, Matthew Restall’s When Montezuma Met Cortes: The True Story of the Meeting that Changed History. It’s a fascinating attempt to dispel what he calls the “mythistory” of the meeting between Cortes and Montezuma and the Spanish conquest of the Aztec empire. In short, he’s arguing, with extensive evidence, that Cortes was not the godlike conquerer of a leader who cowered at the sight of his galleons, guns and horses. Quite the opposite, he claims Montezuma toyed with Cortes, luring him to Tenochtitlan to study him almost as if he and his crew were zoo animals. Restall also notes that Cortes was not the mastermind warrior history remembers him as, reminding the reader time and again that the winners, in this instance, Cortes, control the historical narrative. In reality, Cortes was a barely competent Spanish commander, one of many vying for power and prestige in the New World. His real gift was his persuasive powers and his duplicity. The Spaniards spent almost as much time undermining and fighting among themselves in the early stages of the conquest as they did fighting native peoples. And the initial meeting, which has been portrayed as a surrender by Montezuma, was no such thing and that Montezuma wasn’t subjugated until after the actual war broke out, which was more than 200 days after Cortes, his men and members of the Triple Alliance entered the Aztec capital. There’s still more to read, and in the end, the real truth is known only to those who were there. But Restall is making a compelling argument for rethinking much of what we thought we knew about the conquest. He even calls it the Spanish-Aztec war, instead of conquest, reflecting the fact that it was a pitched battle where the Spaniards and their allies ultimately prevailed, not a cowardly capitulation by the Aztec leader. 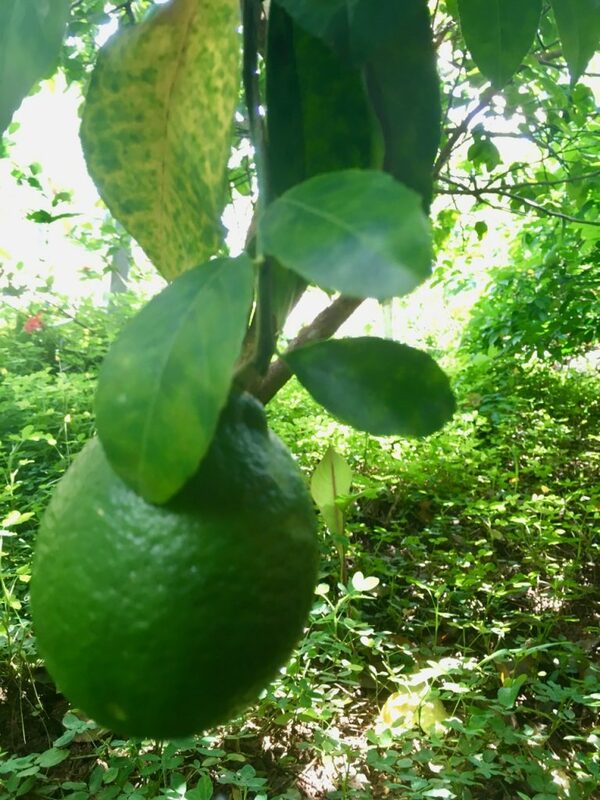 A lime ready for harvest.